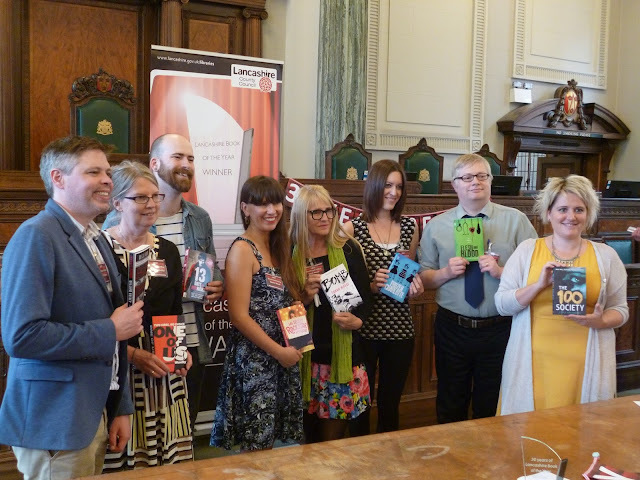 In June, I was involved in three book awards - two as a shortlisted author and one as the visiting author who announced the winner. When ONE OF US was published, I didn't even think about book prizes or awards. 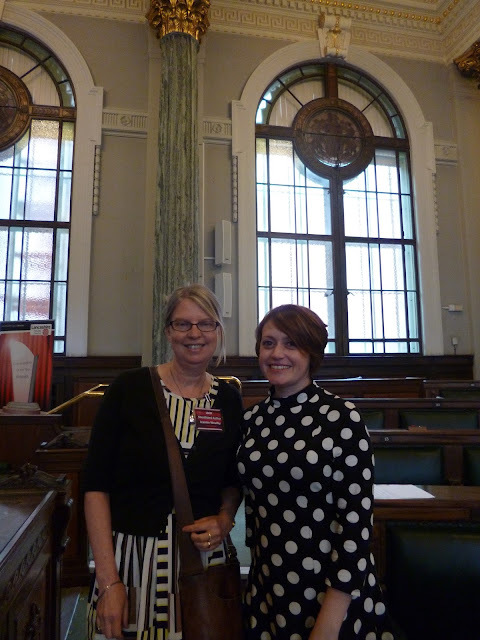 So finding out that it was shortlisted for the Lancashire Book of the Year award (LBOY) and the Bolton Children's Fiction Award was both amazing and very nice. First up was LBOY, in Preston, for a two-day event. 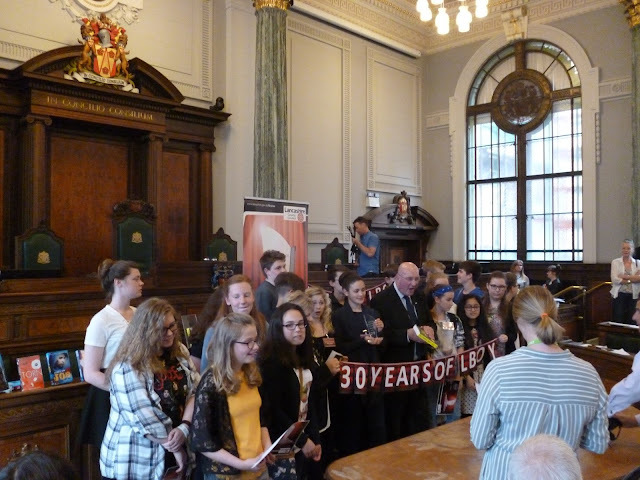 It's the 30th year of this award, which was the first to be entirely chosen by young people. I met David Lightfoot who had the initial idea for an award in which the judges are teenagers. 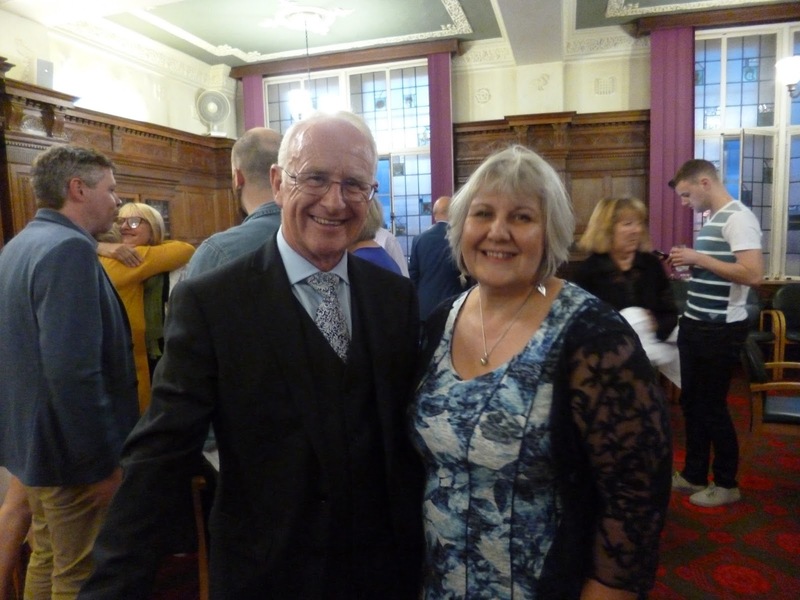 He was Head of Library Services then and here he is with Julie Bell, current Head of Libraries, Museums, Culture and Registrar. I was impressed with how many hundreds of people come together each year with a shared love of reading. The University of Central Lancashire have supported the event for 15 years. 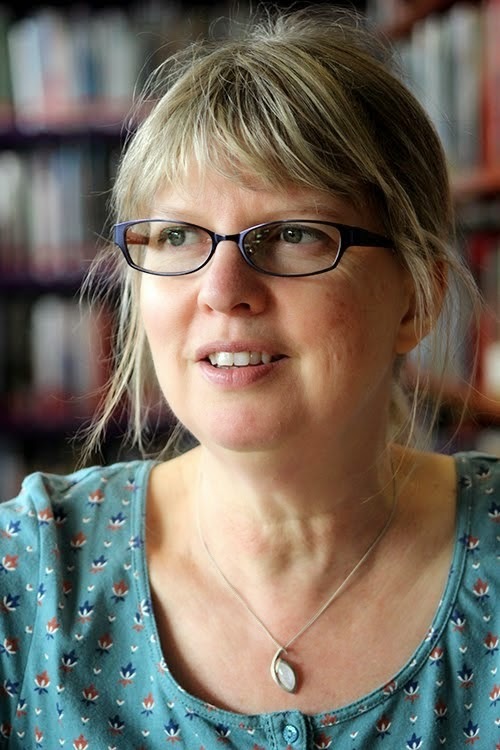 I think it's wonderful that a university puts so much into an event centred around young people's experience of YA books.I met so many people involved with the event - librarians, including Jill Connelly who organised the event from September 2015 to June 2016, councillors, teachers, bloggers, booksellers, parents and most importantly the young judges, who spoke with such eloquence and inspired me to read 'outside my comfort zone'. At a time when libraries are being closed across the country, it was both inspiring and heartbreaking to be part of something in which so many people of different ages come together in a shared passion for books. I couldn't help wondering if thirty years ago anyone would have believed that libraries would be lost all over the country. I think thirty years ago they felt like something that was part of the fabric of British society. 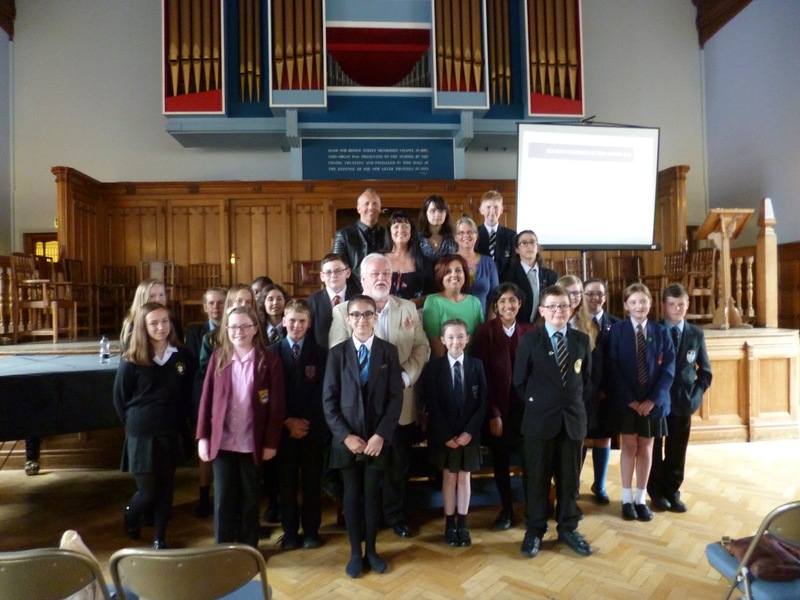 The thing about this award that really blew me away was the young people who took part in the event. At the award ceremony, each of the judges (all from year 9) stood up and spoke about what they had got from the experience. I met one boy who read over 60 books! 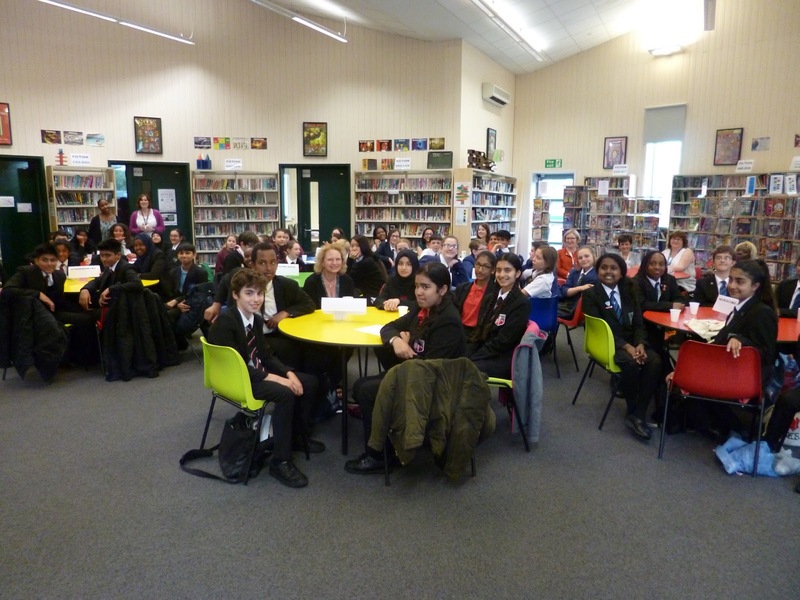 Their passion for reading was inspiring and so was their self-assurance and confidence - it was a very imposing room! This year's winner was Holly Bourne for Am I Normal Yet? It was also great fun to meet the other authors. 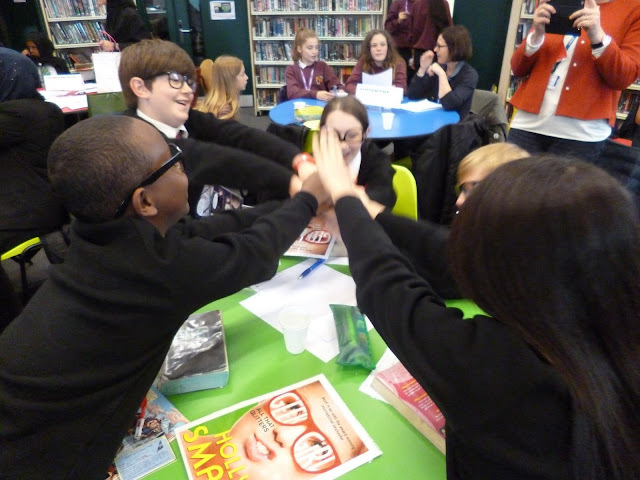 Like LBOY, the Ealing Readers’ Award is chosen completely by young people, this year from 8 high schools in Ealing. It was lovely to be in a room with Ealing schools and I felt very at home because I went to school in Ealing myself from 14 on and I taught in an Ealing school when I first started teaching English. You can see what a happy and fun event it was. Each group put on a presentation of their chosen book and these were very funny with some great props and excellent acting. Here students from Acton High School psych themselves up for their presentation on Holly Smale's Geek Girl. When I was at school, going to the library was a solitary activity. I would have loved the chance to be part of a book club, spend time with people who also passionately loved reading and be able to choose the winner of a prize. Lots of the students mentioned that they wouldn't have chosen the book themselves, but having read it, found lots to enjoy. The winner of the Ealing Readers' Award was Girl Online on Tour by Zoe Sugg and the joint winners for the presentation were Greenford High School and Cardinal Wiseman. You can read about it in posts by Brentside, Drayton Manor and Acton High School. I've always wanted to be the person who gets to say: 'And the winner is...', and this was my chance! The winner of the Bolton Children's Fiction Award is also chosen by teenagers. This year it was won by Narinder Dhami for 13 Hours I read the shortlist as there were only 6 of us and it was a real treat. I feel proud to be part of such a great line-up. 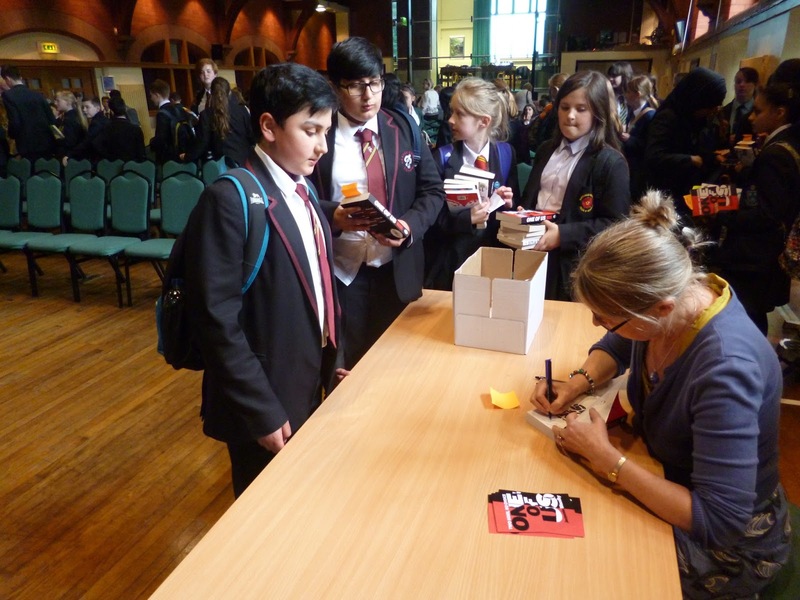 The event was organised by the Library at Bolton School and held there with students from other local schools. We were made very welcome and all thought it looked like Hogwarts. Many of the young judges had read all six books and they had special bookmarks to tick off as they read. They queued up with their stacks of books and it was really lovely to meet readers. 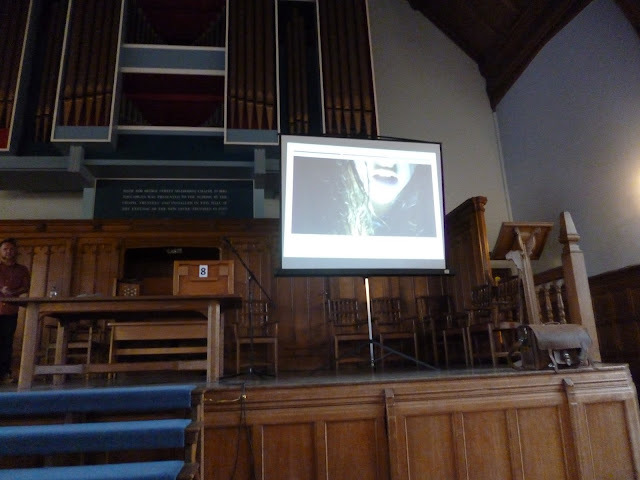 Some pupils (from St James C of E High School) made trailers for each of the books. These were amazing, not only gripping but also showing such engagement with each book. I loved mine because it captured the feeling I wanted to come across in the book. I particularly liked the crumpled, scribbled-on paper they used as this showed in such a visual way what K’s life is like at the start of the story. The highlight for me was once again meeting the young people. Some of them told me what they liked about ONE OF US and that was the most exciting thing. There are moments when it’s very tough finishing a novel, times when it isn’t going well and you can feel plagued by doubt. The thing that made me finish this book was the thought that my characters K, Greg, Oskar, Celestina and the others, could only really ‘live’ if young people read their story. So to know that that has happened, but even more to meet those readers is really something I will never forget. I can’t imagine this ever feeling ordinary, however many books I write. 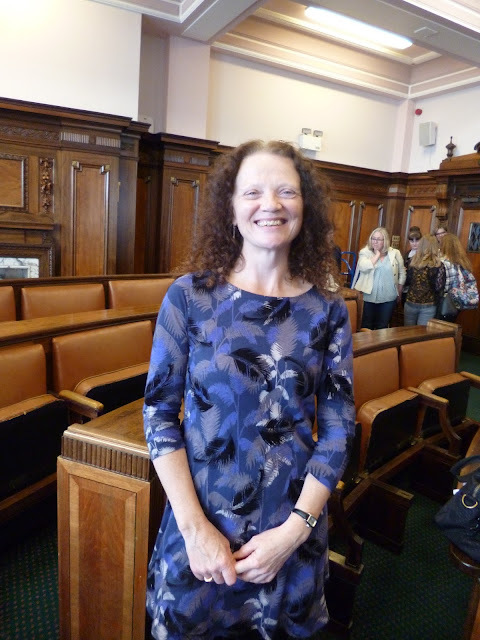 Great blog Jeannie - I'd love to see the video trailer - will they let you have a copy? Thanks, Kathy! Yes! And if it's OK with everyone, music copyright etc..., I'll post it on here.